Today is a day to play hunches and take guesses. We do that all the time on this board - so, any hunches about the coming season? Any guesses about things more esoteric than yards gained, TDs, wins/losses. Maybe how many complaints about DN articles or how many threads might be closed? It's also National Titanic Remembrance Day - recall the orchestra playing while the world was ending for so many on that ill-fated craft. It's also national Rubber Eraser Day. Where would we be w/o the common eraser? If we could only have erasers for the really big mistakes we have made in our lives. It's also, ugh, National Tax Day. Didn't really need to remind anyone of that, now, did I ? JSK: Can I write off advertising? JSK: Is posting artwork on the internet a good way to advertise? JSK: Does time = money? Acct: Where are we going with this? JSK: If I conservatively value my time at $50/ hr and spend five hours a day posting pictures on Dawgnation can I claim $91,250 in my annual advertising budget? Apparently the answer is "no." It might could work. All of the posters on DN could be your potential customers. I'll buy something inexpensive if it will help. I still have some "Swift Vengeance" LEs left. 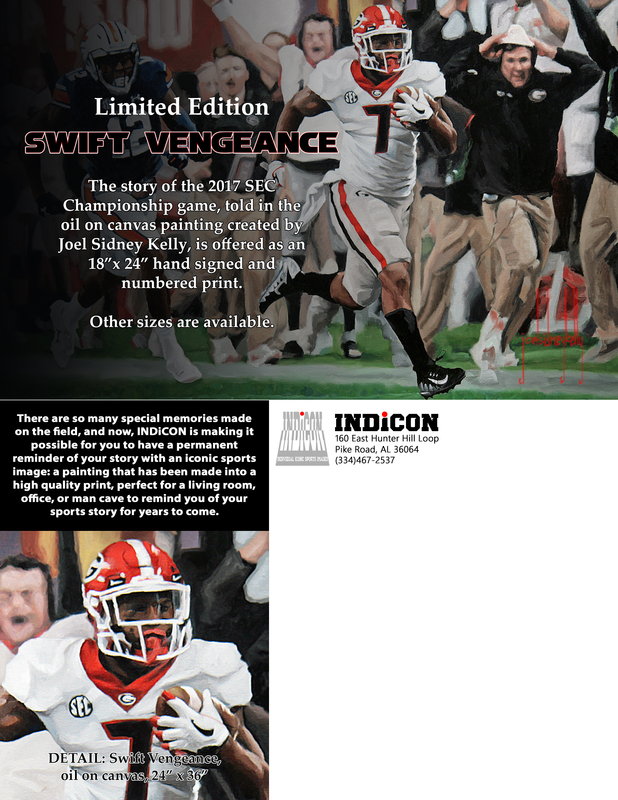 All Dawgnation forum members receive 20% off (18x24=$60, 12x16=$30, 8x10=$20). Paypal no longer allows coupon codes, so message me if you're interested. P.S. I still have the original 24x36 oil on canvas. I have received offers but not enough to part with it.... yet.